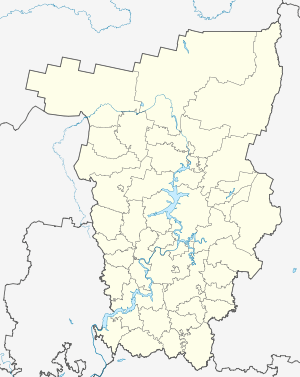 Berezniki (Russian: Березники́) is a city in Perm Krai, Russia, located on the banks of the Kama River, in the Ural Mountains. 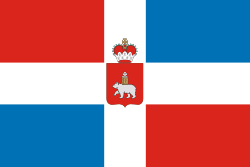 Population: 156,466 (2010 Census); 173,077 (2002 Census); 201,213 (1989 Census). The name Berezniki is derived from a birch forest originally situated on the city's location. It was founded in 1873. City status was granted to it in 1932 as its industry was rapidly expanding under Joseph Stalin. Within the framework of administrative divisions, it is incorporated as the city of krai significance of Berezniki—an administrative unit with the status equal to that of the districts. 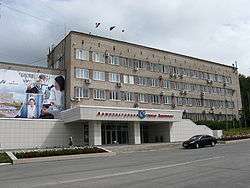 As a municipal division, the city of krai significance of Berezniki is incorporated as Berezniki Urban Okrug. After the dissolution of the Soviet Union in 1991, the city's population dropped due to increased unemployment. Nevertheless, the city was able to keep its main industries on track. Large chemical plants such as titanium and sodium factories as well as several huge Potassium, Magnesium and Potash mines are operational in Berezniki. The potash mine, owned by Uralkali, was the basis of the fortune of Dmitry Rybolovlev who sold his interest in 2010 to Suleyman Kerimov. Mine supports in the huge underground mine, about 1,000 feet beneath the city, consist of soluble salt which is being dissolved by water flooding into the mine. The city, a former Soviet era labor camp, was built near the work site, over the mine. Several sinkholes, some huge, have opened within the city. The situation requires round-the-clock monitoring. The problem is believed to be limited to a small part of the mine which was not filled properly and to be limited in its future impact, but relocation of the city is under consideration. The largest sinkhole, locally dubbed, "The Grandfather" by 2012, was 340 yards wide, 430 yards long, and 780 feet deep. When it opened in 2007 the hole was initially 80m long, 40m wide and 200m deep. The sinkhole was expected to expand, and destroy part of the only rail line which leads to and from the potash mines, and, being that Berezniki produces around 10% of the worlds potash, this would lead global demand towards Canada, potentially damaging the local economy. Nobody was injured when the sinkhole appeared. Berezniki has a theater and a museum of regional history. Russia's first president Boris Yeltsin attended Pushkin High School in Berezniki. Russian billionaire Dmitry Rybolovlev controlled the leading Berezniki potash mines during 2000 — 2011. 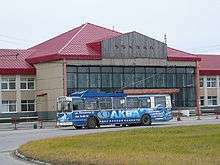 Berezniki is served by the Berezniki Airport, which mainly serves helicopters. A railway station is closed since it is located in the sinkhole area and has been damaged beyond repair. 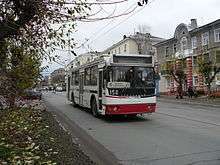 In the city public transport service is operated with trolleybuses. Every year from July 17th to the 20th the town celebrates its mosquitoes. They have music, dancing and a "most delicious girl" competition. In the competition, the girls stand for 20 minutes in their shorts and vests, and the one who receives the most bites wins. 1 2 3 4 Энциклопедия Города России. Moscow: Большая Российская Энциклопедия. 2003. p. 46. ISBN 5-7107-7399-9. Законодательное собрание Пермской области. Закон №1983-434 от 27 декабря 2004 г. «Об утверждении границ и о наделении статусом муниципального образования "Город Березники" Пермского края», в ред. Закона №499-ПК от 16 октября 2009 г «О внесении изменений в отдельные законодательные акты Пермской области и Коми-Пермяцкого автономного округа». Вступил в силу через десять дней со дня официального опубликования. Опубликован: "Звезда", №217–218, 30 декабря 2004 г. (Legislative Assembly of Perm Oblast. Law #1983-434 of December 27, 2004 On Establishing the Borders and on Granting the Status to the Municipal Formation of the "City of Berezniki" of Perm Krai, as amended by the Law #499-PK of October 16, 2009 On Amending Various Legislative Acts of Perm Oblast and Komi-Permyak Autonomous Okrug. Effective as of the day which is ten days following the day of the official publication. ).